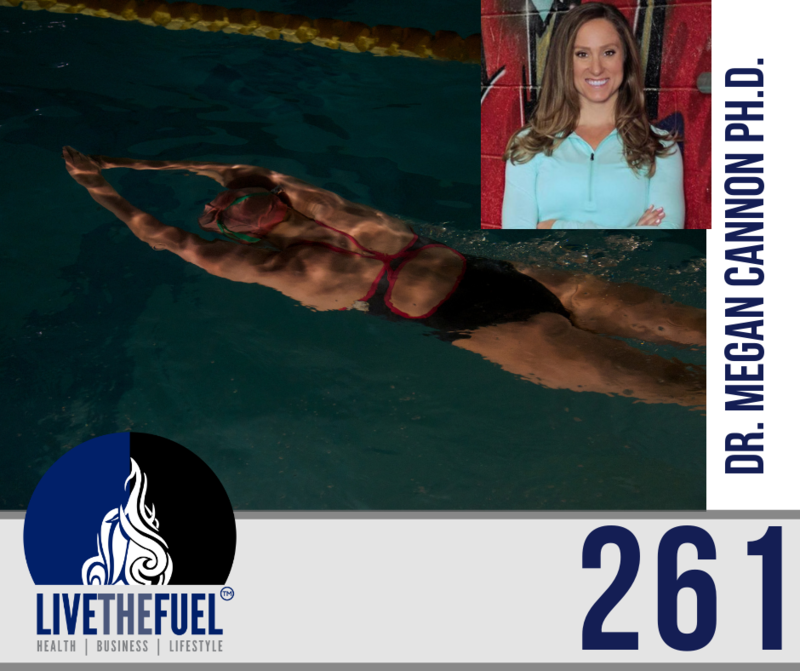 On today’s Health Podcast we talk swimming, competition preparation, and mindset with our regular Sports Psychologist, Dr. Megan Cannon Ph.D.
Megan has been working with many school sports teams on mindset preparation. Today we dig into the swimming team(s) and much more. She talks to our audience regularly, about many high-value topics such as health, fitness, mindset, and Sports Psychology. Specializing as a Sports Psychologist, Megan brings a wealth of mindset psychology and a whole lot more to our show. 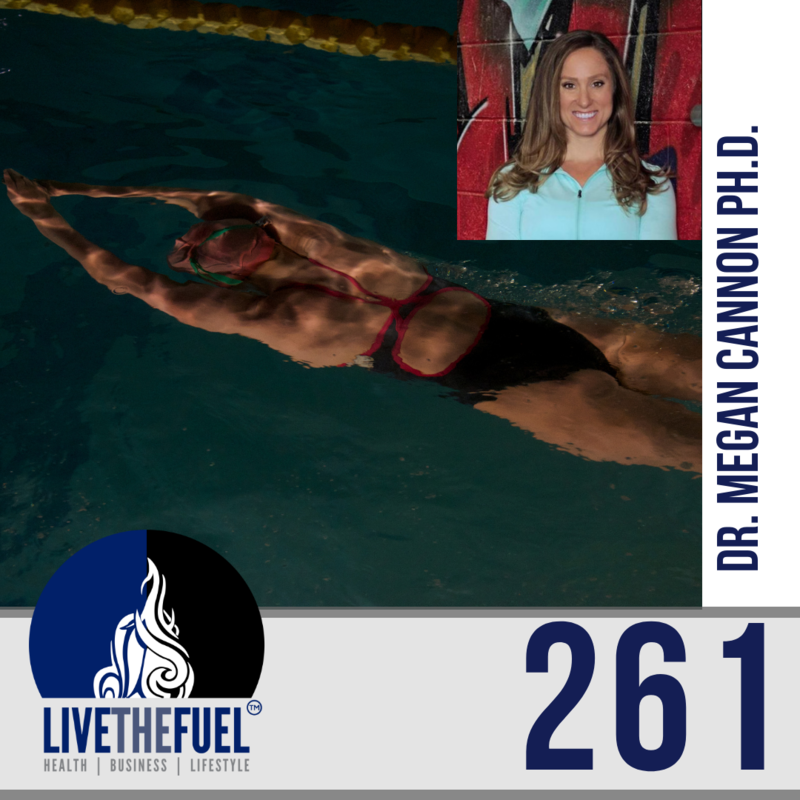 Listen in while we catch up with Dr. Megan Cannon Ph.D.! Today’s shorter podcast is following our newer short form with Dr. Megan Cannon. She’s gotten busier, as have I, so we now are recording back to back episodes to be paired off of each other. Our new mindset pump format is trying to stay around 30 minutes or less. Let’s see how you, the listeners, like the performance and knowledge we can cram into these newer 30-minute episodes! The Iron Cowboy (50 Ironmans). The mental planning along with the physical. I think it’s just starting to pay attention to your mental game plan. That doesn’t start the day of trying to do an Ironman, I’m not going to just go do that tomorrow, right? I’m going to train and I’m going to prepare. As long as you’re doing the physical preparation, think about the mental preparation and not only those things from what we’ve discussed of sleep and making those unknowns, known. Even on that day of competing or whatever business you are doing, have that mental game plan and preparation there as well. [05:00] Swimming training, triathlons, and swim angels. [10:00] So there’s the 25 meter for short course, and then the long course is 50 meters. So you’re missing the flip turn and you’re missing that ability to push off the wall. [15:30] There’s the Parkland Swimming Team vs the Parkland area Swim Club team, two different things. Then there is the Nazareth teams, they have a high school program but then they also have a club program as well. [22:00] So having a consistent sleep cycle going into the competition was part one that I did. That is a part of the official fancy healthy sleep terminology, your circadian rhythm. [30:00] So here’s a perfect example in the CrossFit world. So I know for me, if I look at that clock, and it’s one of those workouts, I said to my teammates, I do not want to know what the time is. I even said to the judge, please do not let me know what the time is.